You can find a good job if you stop believing in myths. Job search may not be as easy as it seems, especially if you do this for the first time. Turns out, you must learn how to find a job, like you learn how to do paper writing. When do we start learning how to find a job? As a rule, when we have already weighed all pros and cons and know what kind of career we want to have. Did you make it to the job interview? That’s really great, but the truth is, this doesn’t happen so often. The path of job search is bumpy and sometimes things that don’t let us find what we are really looking for are in our heads. 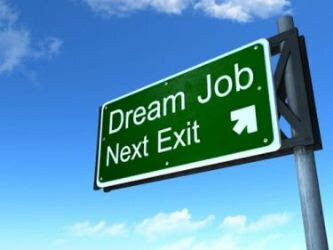 Many job seekers seem to think that job market is in a lull in summer and during winter holidays. This is not the case. There are no holidays for businesses and companies constantly need new employees, no matter what time of year it is. Being quite a common stereotype, this also means that you have a nice chance of getting the job of your dreams, if you are properly motivated. First of all, because competition is low, while demand is the same. You have good chances to stand out. Second, HRs are not so busy, so they may have more time to properly review your job application (this still means you will have to practice writing your resume until it looks nearly perfect). Quite often job applicants try to outsmart HRs. They seem to think that when it comes to resumes, better writing means adding some inexistent achievements and lying about the reasons of leaving the previous jobs (in case they had any). That is not the best strategy. 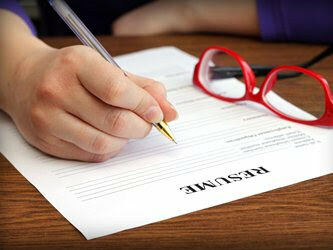 Your resume must contain informative writing and not tall tales. A true HR professional will easily find out the truth. You have to understand that HRs are not your enemies. In fact, their task is similar to yours: they need to close a vacancy and you need to find a job. An HR considers whether skills you listed in your resume fit the vacancy requirements and makes sure that not only you are good for the company, but also that company is good for you. For some reason, some people think that since HRs don’t make any decisions related to your salary, you can name whatever salary comes into your mind to an HR and say something different to your boss. However disappointing it may sound for you, your boss will always know about the salary expectations you described to an HR. This will only show that you are either not a very honest person or don’t know your own worth on a job market. Yes, useful connections may play their part, and sometimes this part isn’t that small. But business is business and companies don’t just look for nice guys someone may recommend; they look for suitable professionals. So send your resumes to all kinds of companies and recruiting agencies, post them on job sites, keep professional profiles on social networks, and be as active in your job search as you can! Sure, you can turn your resume into essay writing and creatively describe every bit of work experience you ever had, until there are no less than five pages, apart from motivation letter or cover letter. While there is nothing wrong in the desire to show yourself in the best life as a person of many talents, this might not be the best idea. First, because employers don’t need information about all the skills you have, from professional writing to lawn mowing. They need the skills that fit their specific job offer and their specific company – any suitable experience, knowledge or additional education. Second, your resume is an ad with a goal to sell. It must be targeted at potential “buyers”. Third, there’s just no way a person can be good at everything at once. To become an expert at something, you need to enhance your level of expertise in one or a few areas. By describing all you can do you can create an image of a person who has superficial knowledge of many things and doesn’t really specialize in anything in particular. Finding a good job may not be easy, but by avoiding some common mistakes, you’ll raise your chances at finding what you are looking for. If you feel unsure about writing use then just some good custom essay writing service.